Exciting news! 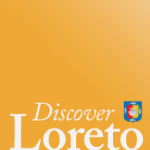 The first ever Loreto Food & Wine Festival will take place March 9 – 11, 2012. Events include whale watching, tours of the San Javier Mission and Coronado Island, an official festival kick-off featuring the Mayor of Loreto, cheese and wine tastings, golf tournament, and a whole lot more. Entertainment will be provided by Los Beach Dogs, a Loreto Bay homeowners band, California – Bahia Show – a Cuban & Tropical Band, in addition to 5 hours of Salsa, Merengue, Samba, Brazilian Batucada and lots of fun. The Loreto Food & Wine Festival marks a collaboration between the Loreto Restaurant & Bar Association (Asociacion de Bares y Restaurantes de Loreto A.C), our sponsors and the Festival Committee celebrating great wine and food, while supporting charitable organizations. This year’s festival is focusing on acquiring a 12 lead EKG machine for the Loreto Hospital. 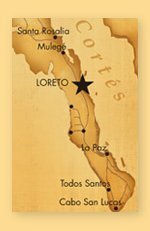 According to organizers, the Loreto Food & Wine Festival has strong support from the food, wine and hospitality industry of Loreto and Baja California Sur. The Festival provides a diverse range of interactive culinary events while showcasing the area’s unique and rich culture and history, and promoting local business. The Loreto Food and Wine Festival begins a tradition that will be anticipated year after year – not just for the fun of the event but for the good it brings to our community. The 2012 inaugural festival committee members include Miki Edwards, Heidi Gatens, Tanni Graichen, Rodolfo Guerrero, Janice Leppard, Elizabeth Simoneau, and Mills Sinclair. For more information, including a complete schedule of events, and to purchase tickets be sure to visit the Loreto Food & Wine Festival web site.